Post translational Modification (PTM) is a key component that contributes to the diversity of the biological activities and affecting many protein characterization or cellular functions. 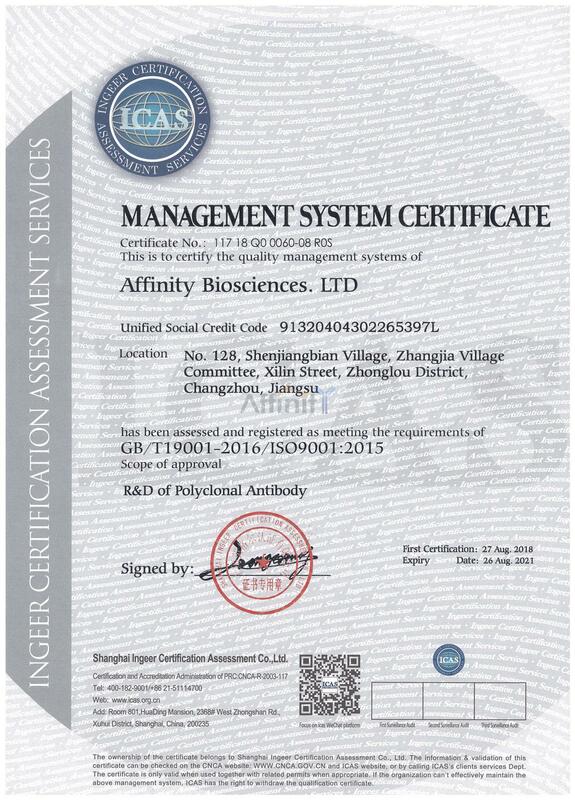 Affinity bioscience raised against these protein modifications has shown to be an useful tools in the study of cell signaling, protein structure, function, maturation, localization, disease diagnostic, activity, etc. While protein phosphorylation,Aceytylation and methylation is considered the most common post translational modification, more than 200 different covalently attached modifications targeting most proteinogenic amino acids are known today. Affinity biosciences has been an expert in providing custom-made modification specific peptides as antigens for antiserum production. All antibodies against post translational modifications will undergo double affinity purification with modified and unmodified peptide. The first step in the development of custom-made modification-specific antibodies is the selection and design of the immunizing peptide. This is a crucial step because the specificity and utility of the custom modification-specific antibodies depends critically on the design of the immunizing peptide. Affinity biosciences provides design assistance at no additional charge. Please send your sequence to our support team with any details on regions to target/avoid, and we will be happy to send our recommendations. Once the final sequence has been confirmed, we can then put together a formal quotation for the custom modification--specific antibody project. Contact us about your project and we will reply with a quote along with detailed information regarding your custom Modification Specific Polyclonal Antibody Production!